In order to continue our growth and much applauded recent success, Sporting CT, a premier soccer organization and affiliate of Middletown Youth Soccer, a 501(c) (3) organization, are looking to offer sponsorship opportunities to local organizations interested in utilizing our program as a vehicle for commercial advertisement. As an organization vested in providing support to our local community, we offer small and big businesses alike the opportunity to market their services to our membership. With online offerings, uniform recognition and field signage available as options for potential partners there are a multitude of ways for companies to become part of the Sporting Family. As a non-profit organization, all of the money generated through such fundraising incentives is reinvested directly back into the program and is used to help fund incentives such as Annual Player Scholarships and Equipment and Facility maintenance ensuring the experience our young players have is as positive as possible. To all partners, we offer year round presence on the Sponsorship page of our website and provide direct links to, and biographies of, the businesses that support us. For those involved in the packages that include promotional space through signage on our home field, signs remain up year round from April 1st of each year. With in excess of 10,000 unique visitors passing through our facility each year due to the comprehensive program we offer (Premier, Travel, Recreational & High School teams/games, Camps, Clinics etc.) we believe we provide a tremendously fruitful avenue of advertisement. We are extremely grateful for any partnership and look forward to partnering with you and bringing successful enterprise to our local community. Comprehensive Orthopaedics and Musculoskeletal Care, LLC is a practice comprised of a dynamic group of physicians providing a broad spectrum of musculoskeletal treatment and orthopaedic surgery. In their efforts to provide the highest level of patient care, these Board Certified orthopaedic surgeons merged their practices under one banner on January 1, 1999. With offices in Wallingford, Meriden, Cheshire and Southington our physicians offer their patients a full spectrum of orthopaedic care. All physicians excel in the area of diagnosing and treating disease and injuries of the musculoskeletal system involving bones, muscles, tendons, nerves and ligaments. Specialty areas include hand surgery, elbow surgery, foot and ankle surgery, knee surgery, spine surgery, arthroscopic surgery of the knee and shoulder, and total joint replacement. Relying on the skill and expertise of more than 4,500 university and community physicians and advanced practitioners, including more than 600 resident physicians, Yale-New Haven Hospital (YNHH) provides comprehensive, multidisciplinary, family-focused care in more than 100 medical specialty areas. As the primary teaching hospital for Yale School of Medicine (YSM), they have supervised physician residents and fellows supporting their medical staff by providing around-the-clock coverage and insightful, research-supported patient care. Yale-New Haven Hospital regularly ranks among the best hospitals in the U.S. and is accredited by The Joint Commission. In conjunction with YSM and Yale Cancer Center , YNHH is nationally recognized for its commitment to teaching and clinical research. Turner & Sons is a family owned company with 50 years of service experience to help make your house, a home. Starting in 1956 with Donald Turner, he crafted a company based on three principles, Beauty, Quality and Responsibility. Today, they span three generations under the same simple principles. They are Middlesex County 's foremost home remodeling contractor specializing in exterior renovations for your home. Over the years they have formed personal partnerships with many families who demanded the highest qualities of professionalism, integrity, and honesty in their business relationships. Their own high standards ensure Beauty, Quality, and Responsibility when dealing with them. Jackson Chevrolet in Middletown, CT treats the needs of each individual customer with paramount concern. We know that you have high expectations, and as a car dealer we enjoy the challenge of meeting and exceeding those standards each and every time. Allow us to demonstrate our commitment to excellence! Our experienced sales staff is eager to share its knowledge and enthusiasm with you. We encourage you to browse our online inventory, schedule a test drive and investigate financing options. You can also request more information about a vehicle using our online form or by calling (860) 346-9655. 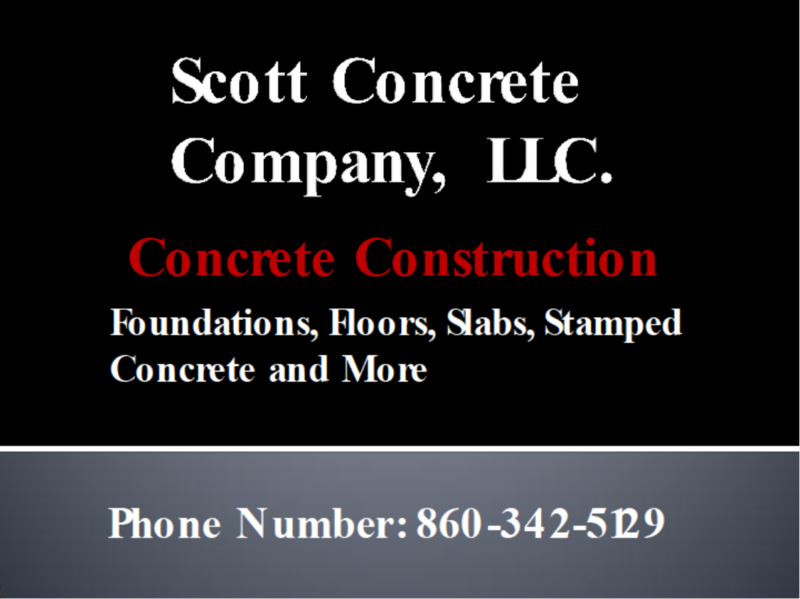 Scott Concrete is a fully faceted concrete business started in 2006. Owner, Ian Scott, has over 25 years of experience in all aspects of concrete work including foundations, floors, sidewalks, stamped concrete, sea walls as well as custom concrete orders. Scott Concrete, LLC. Is located in Portland CT. 860-342-5129. Our mission is to construct quality home using quality materials at competitive prices. We take great pride in our homes and build each house as if it was our own. 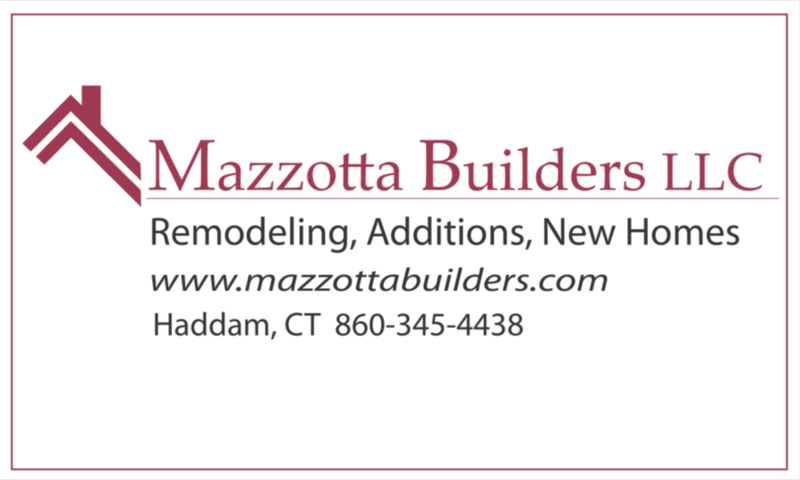 Bruce Mazzotta, the majority member of Mazzotta Builders LLC comes from a family that has been in the construction business for three generations. He has been building on his own in the residential construction business since 1986. Mazzotta Builders LLC also constructs home additions. Robert C. White, founder and namesake of Robert C. White & Company is an expert "Landlord- for- Hire" serving property owners of single-family homes, condos, and small multi-family buildings throughout central Connecticut. We work as agents on behalf of owners, offering renting an alternative to selling your property. As full time property managers, we take care of all your needs, from marketing your property to screening applicants, and putting quality tenants in your home, to providing 24/7 maintenance service. Call Zach Eddinger today at 860-956-5378 to learn more. The Mission of St. John Paul II, a Regional diocesan school, is to engage each student in the dual priorities of a challenging academic program that will promote life long learning and a Catholic, Gospel based faith formation, through a structured family-centred and safe environment that values diversity and enriches the life experience of its students. life experience of its students.